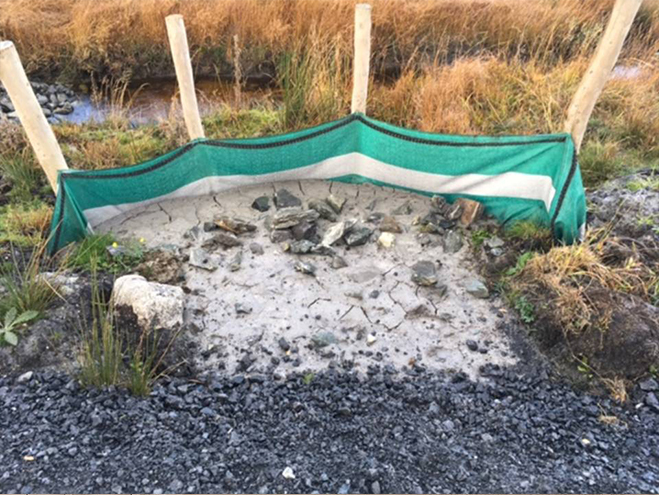 Specialised silt fence fabric used as an entrenched interceptor fence to control pollution caused by silt laden construction site stormwater run-off. Many construction, forestry and farming activities result in disturbed or bare ground that is vulnerable to weather erosion. 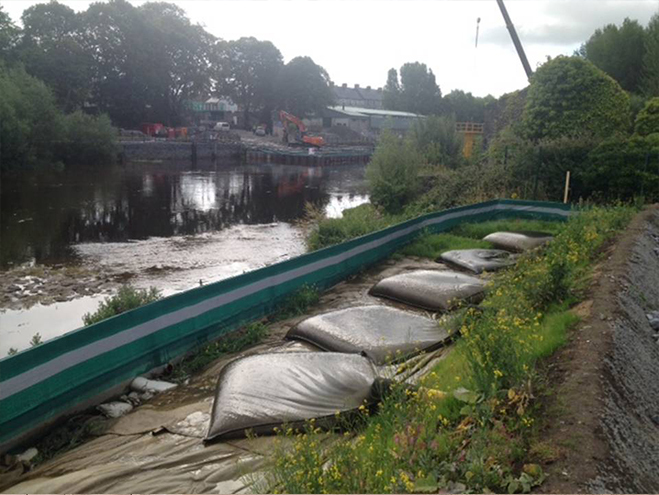 The silt laden run-off, plus site debris and other pollutants, often contaminates surrounding land, rivers, streams, lakes and drains – resulting in significant environmental diffuse pollution and potentially costly fines. However, due to the on-going nature of such work, it is generally not possible to protect exposed surfaces until the project is complete. So stormwater from such sites represents a major non-point source of diffuse water pollution in the UK. Terrastop™ Premium is a special, high quality, permeable, technical filter fabric for stormwater surface runoff pollution management. Terrastop™ can be installed as an entrenched vertical entrapment fence, and is designed to intercept and detain stormwater run-off, trapping harmful silt through settlement and filtration before it leaves the site. 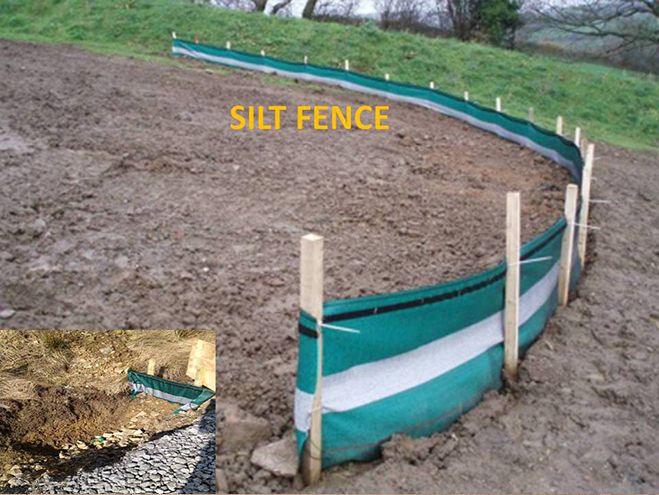 The benefits of the silt fence are increasingly becoming recognised in Britain: The Environment Agency/SEPA Pollution Prevention Guidelines (PPG5) now recommend the use of silt fences to reduce silt transport from exposed ground and stock piles; and research at The James Hutton Institute, using Terrastop silt fencing, demonstrated that even after post-harvest contour grubbing of potato fields an estimated 80 tonnes of soil containing 60-70 kg phosphate-P contaminants was trapped from a 17ha field [Dr Andy Vinten]. Silt fences have also been used extensively in other countries for many years, and their proven performance (Intercepting up to 86% of suspended solids [Horner et al. 1990]) has made them a standard Best Management Practice on a diverse range construction projects, while in-depth research and practical experience has identified the most important characteristics for effective results.